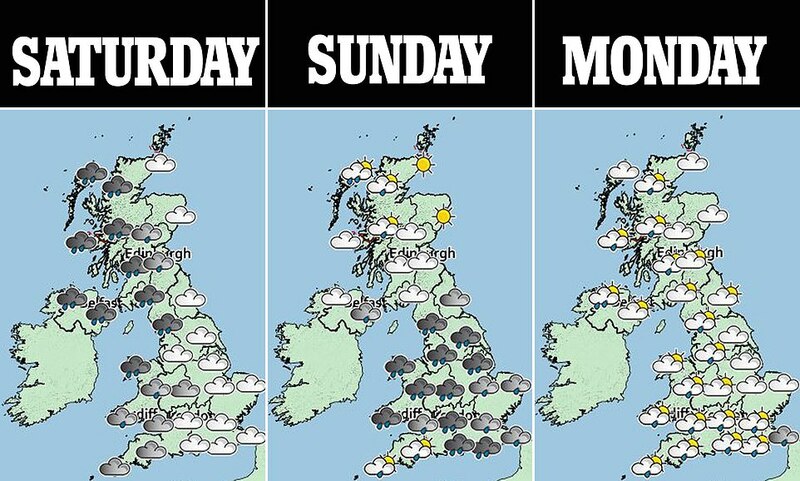 Gales of up to 80mph are set to batter the United Kingdom this weekend, as the potentially life-threatening Storm Freya is announced by the Met Office - just days after the nation enjoyed its hottest ever winter temperatures. 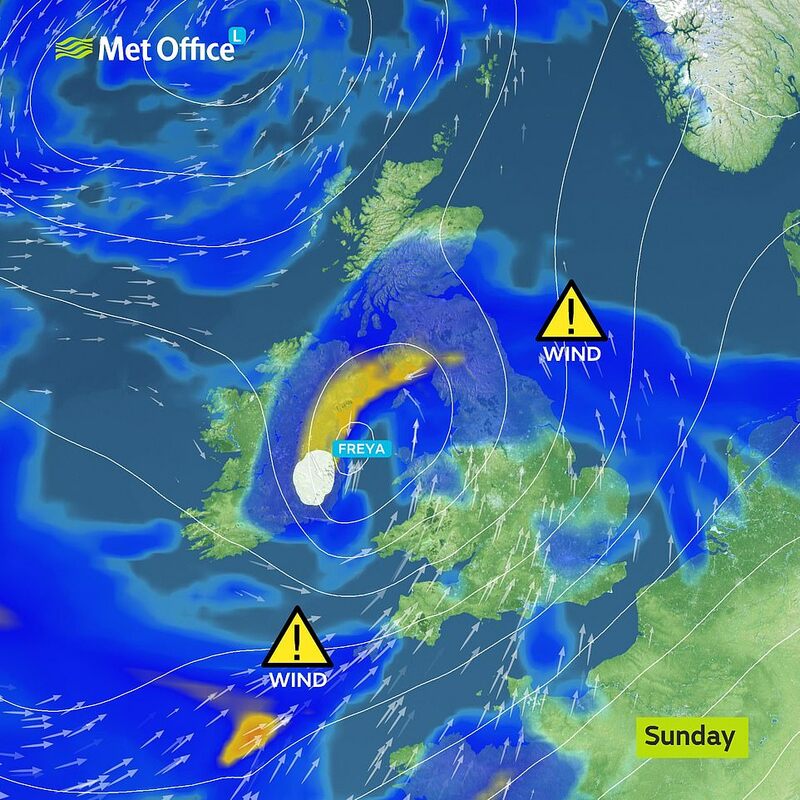 The ferocious weather will bring very strong winds, major travel disruption and possibly dangerous conditions when it hits late on Sunday and lasting until early on Monday morning. 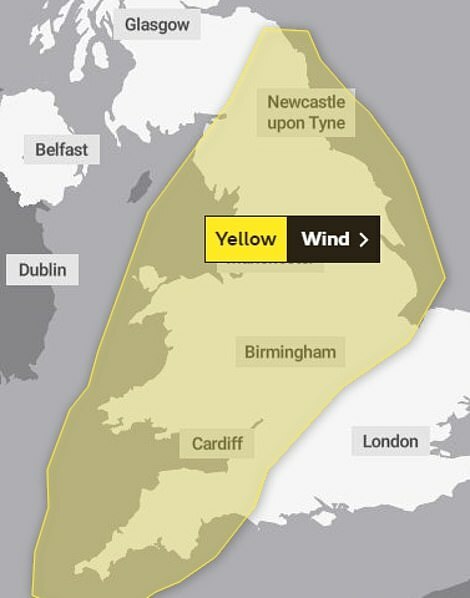 A yellow weather warning has been issued for large swathes of the country, including much of South-West England, The Midlands and North-East England and will be in effect from 3pm on Sunday to 6am on Monday. It warns of flying debris, damage to buildings and trees and possible power disruption with the potential to affect other services, such as mobile phone coverage. Gusts between 55 and 65mph can be expected, with wind speeds reaching up to 80mph in coastal areas. And after the fierce winds subside, snow could fall in parts of North-East England and South-East Scotland as temperatures dip to single digits again, a spokeswoman for the Met Office told MailOnline. We could see lows of -1C in Rochester, Northumberland as the cold weather turns any precipitation in the atmosphere to snow. Met Office spokesman Grahame Madge said: 'What we have got is a storm developing quite rapidly to the south and west of the UK. 'It will be developing as it goes across the UK and it will be bringing very strong winds. 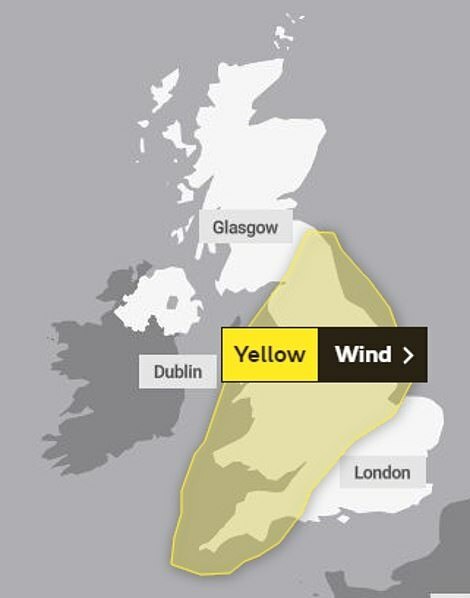 He added that gusts of 55 to 65mph are 'likely quite widely within the warning area and there is the potential for isolated gusts to reach 70 and 80mph'.